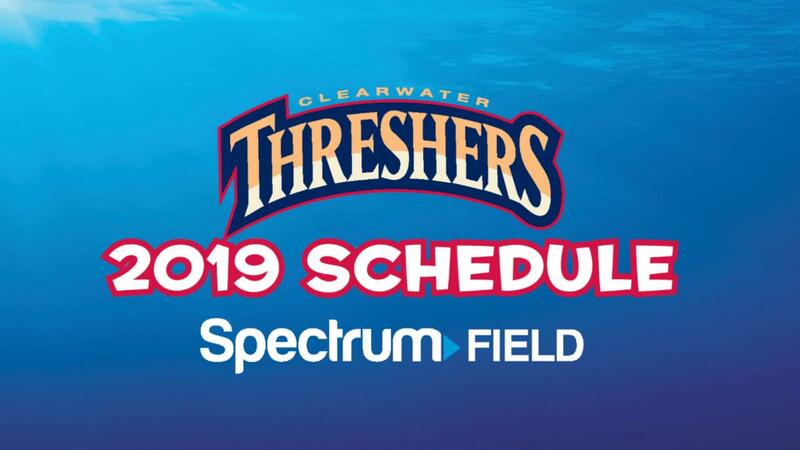 The Clearwater Thresher 2019 schedule with home game times has been posted. Season, group and individual game tickets are available at the BayCare Box Office at Spectrum Field. Visit the ticket office Monday - Friday 10 a.m. - 5 p.m. or call 727-467-4457. 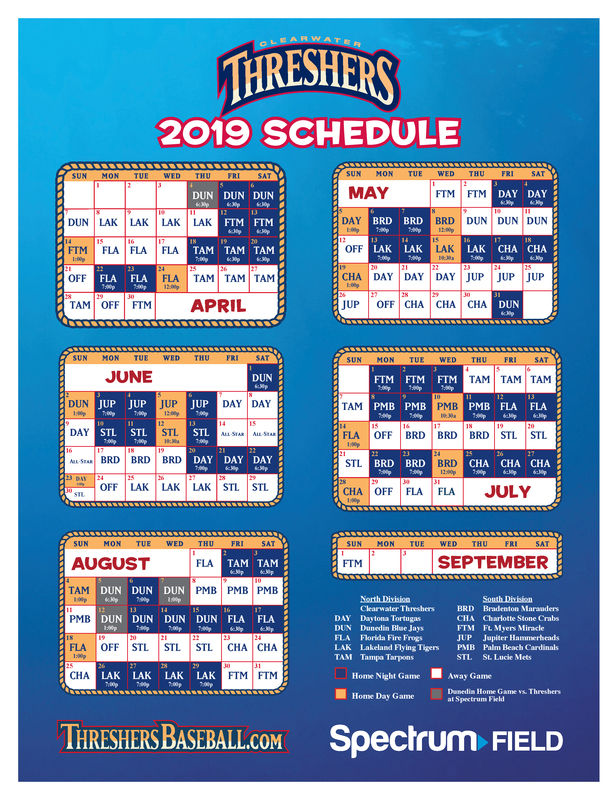 Game times for the summer slate at Spectrum Field are Mondays, Tuesdays and Thursdays at 7 p.m.; Fridays and Saturdays at 6:30 p.m.; Sundays at 1 p.m.; and Wednesdays vary. The full promotional calendar will be released soon, with fan favorites like Dollar Tuesdays by Regions Bank and Taps & Tacos Thursdays by Tijuana Flats returning. Online ticket sales will be available at a later date.